Kate has written a novel based on a tragic love story from her family’s past. Emily is a struggling waitress whose toxic relationship with the wrong man has led her to make a horrible, life-altering decision. Without knowing each other, and with lives that couldn’t be more different, they head to the same point on the map: Heart Island. It’s an idyllic place in the middle of an Adirondack lake, and home to harsh and unyielding matriarch Birdie Burke. These three women find themselves on a heart-wrenching collision course—with dark memories, restless ghosts and each other. And unbeknownst to them all, Heart Island has a terrifying history all its own. 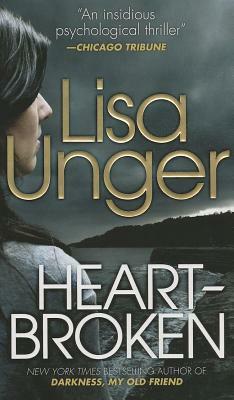 Lisa Unger is an award-winning New York Times and international bestselling author. Her novels have sold over one million copies in the United States and have been translated into twenty-six different languages.